Washington (CNN) - In their first meeting in more than two years, President Obama and members of the Congressional Black Caucus had voting rights, the economy and immigration reform at the top of the agenda. The president sat down with one of his most important constituencies on the White House grounds for an hour and a half, according to participants. Washington (CNN) - Vice President Joe Biden will travel to Arizona on Tuesday to attend a memorial service in the Prescott Valley area for the 19 firefighters killed while fighting the Yarnell Hill wildfire, according to a senior administration official. The bodies are currently at a medical examiner's office in downtown Phoenix but will be transferred in a public procession Sunday to Prescott Valley. 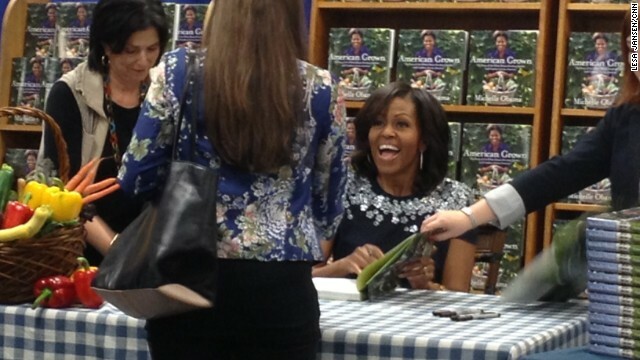 Washington (CNN) - First lady Michelle Obama's first book "American Grown" has been in print for nearly a year and Tuesday she held only her second book signing to date. But she had a good excuse. "[I]f you recall, when the book came out we were in the middle of this campaign, or something or other. So we were a little busy," the first lady told a crowd of about 250 people packed inside a steamy Washington, DC book store. 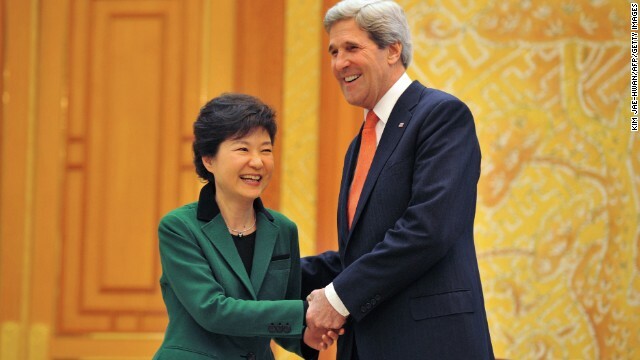 South Korean President Park Geun-hye and Secretary of State John Kerry shake hands before their talks in Seoul on April 12, 2013. Washington (CNN) - On the eve of meetings between President Barack Obama and South Korean President Park Geun-hye, a White House official says the recent saber rattling by North Korea has only strengthened the relationship between the allies. Daniel Russel, White House special assistant and senior director for Asian affairs, told reporters on a conference call Monday Obama will use Park’s visit to "reaffirm the strong commitment" of the U.S. to the defense of the Republic of South Korea. (CNN) - The White House's full court press for passage of gun violence legislation will continue this weekend when a mother whose son was killed in the Connecticut school shootings uses the bully pulpit of the presidential weekly address to make a personal plea. White House Press Secretary Jay Carney Friday told reporters President Obama asked Newtown, Connecticut parent Francine Wheeler to tape the weekly address heard on radio and seen on the internet. 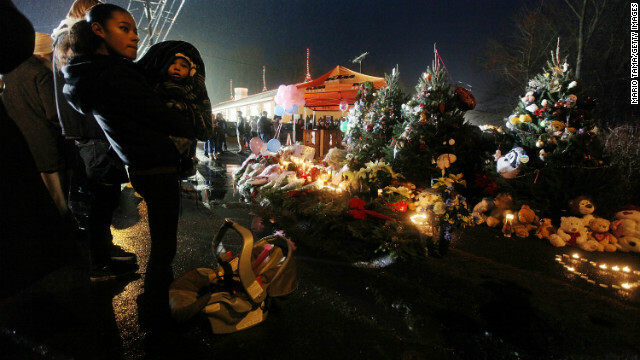 Wheeler's six-year-old son Ben was killed in the shootings at Sandy Hook Elementary School. 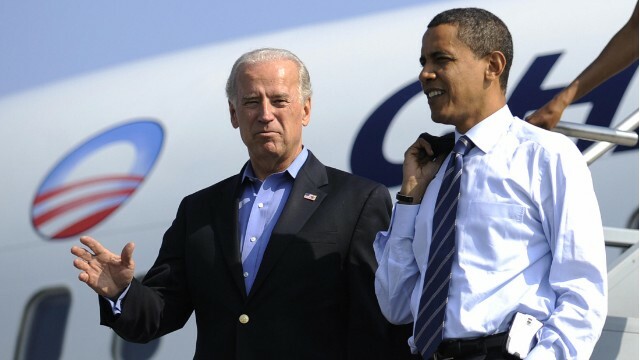 Washington (CNN) - It's the ultimate 'who's minding the store' question: For the first time since taking office, both President Barack Obama and Vice President Joe Biden will be out of the country at the same time (if only for a few hours). 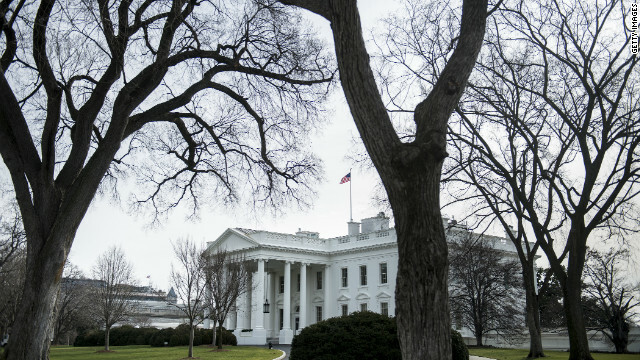 The White House is adamant this will not affect the day-to-day operation of the government. White House spokesman Josh Earnest told reporters last week, "President Obama is president of the United States everywhere he goes. Vice President Biden is vice president of the United States everywhere that he goes." 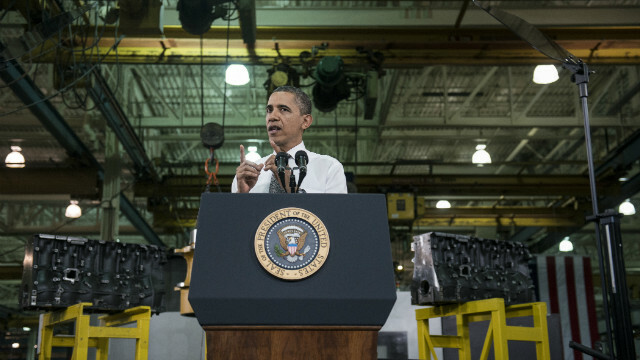 Asheville, North Carolina (CNN) – Seeking to build momentum and rally support for his jobs agenda, President Obama began the first of three campaign-style day trips around the country Wednesday a day after his fourth State of the Union address. Washington (CNN) - President Obama will honor the six teachers and staff killed in the Newtown, Connecticut school massacre last December with the second highest civilian honor, the Citizens Medal in a ceremony next Friday at the White House. 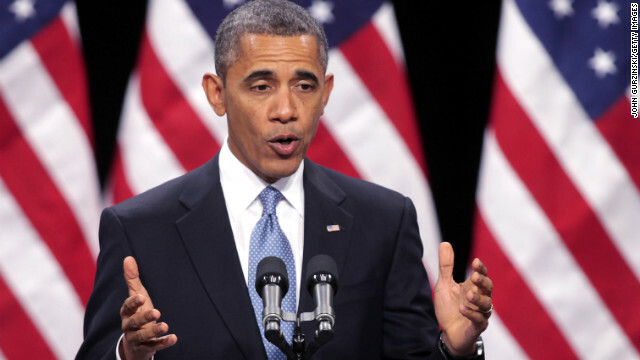 Washington (CNN) - Amid new controversy over his administration's targeted killing of American citizens, President Barack Obama has yielded to demands from Congress to turn over to them classified Justice Department legal advice justifying the policy. The president's move comes on the eve of confirmation hearings Thursday for his CIA director-nominee John Brennan, and complaints from senators - including several Democrats - about secrecy surrounding the drone policy. 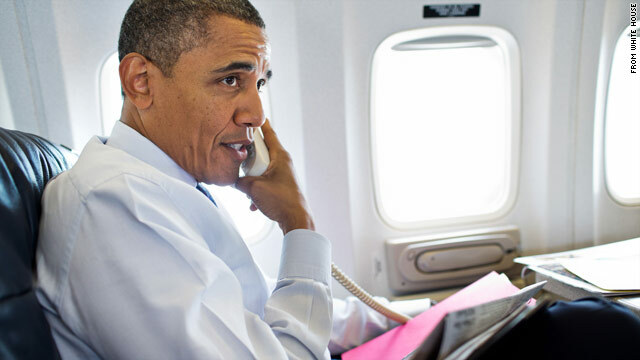 (CNN)–Like millions of people around the world, President Obama is avidly following the Olympic Games in London. Mixing politics and sports in the battleground state of Ohio on Wednesday, the president told supporters at a campaign rally in Mansfield to "give it up for all our outstanding American athletes" competing in the international games.